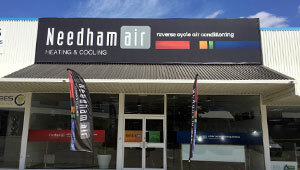 Home & Office Ducted air conditioning solutions in Perth require the power inverter technology from Mitsubishi Electric, the premium choice for creating the ultimate living environment. The 10.0 to 22kW ducted air conditioning systems are the popular choices for larger home and commercial heating and cooling solutions. For Elegance and style, the PEA series compliments the room environment with aesthetically pleasing ceiling installation and a vast line-up of performance. Self-diagnostic function in the unlikely event of a system malfunction. Slim line indoor unit only 200mm high (2.5kW – 7.1kW) & 250mm high indoor unit from (7.1kW – 13.4kW). The lowest overall height – Mitsubishi Electric slim line units have a built in drip tray and do not require an added drip tray mounted under the unit like other manufacturers. Often adding up to 100mm to the indoor unit height / space required. Inverter technology is your key to more comfort throughout the year, whatever the season. By controlling compressor rotation speed more precisely, inverter technology provides high-speed cooling and heating with extra energy savings compared to non-inverter models. Our ultra compact design saves installation space (indoor unit only 200mm high) and provides a flexible solution. Indoor units are as quiet as 23-30 dB(A) at low speed, making them ideal for hotel rooms, living rooms and other residential uses. PAR-33MAA controller provides the ideal room comfort featuring a weekly timer with up to 8 patterns for each calendar day. 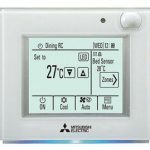 Also featuring: limited set temperature range, auto OFF timer, operation lock & multi-language display (English, Spanish, Italian, German, French, Russian, Chinese & Japanese). Catches dust particles and contaminants to keep the air fresh. No replacement necessary, just needs to be cleaned every 100 hours of operation. Useful during sudden blackouts as the unit will turn back on automatically when power is restored. The SEZ-KD Series indoor units may be connected to the Mitsubishi Electric multi-split system outdoor units. It is possible to mix this bulkhead range with other indoor unit types including wall mounted, ceiling concealed, floor mounted and ceiling cassettes. 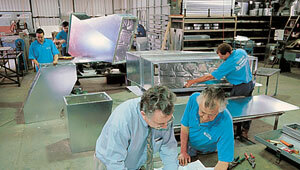 DUCTED AIR CONDITIONING SYSTEM MORE THAN 22 KW? 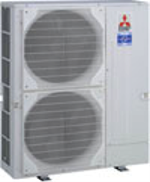 For systems more than 22 kW, refer to the CITY MULTI range of ducted air conditioning systems. The CITY MULTI range has models from 12.5kW to 150 kW. For more information please download brochure. Created by Mitsubishi Electric to enhance busy Australian lifestyles, the new Wi-Fi control unlocks the door to smarter heating or cooling, for complete home comfort wherever you are. This innovative technology connects your domestic Mitsubishi Electric split system or ducted air conditioner to your smartphone, tablet or online account, giving you the independence to fully control each unit on-the-go via an internet connection. Mitsubishi Electric Wi-Fi Control gives you the freedom to modify your heating and cooling needs with the touch of a button from anywhere, so you can be confident your family will be comfortable all year round. Displays actual room temperature information allowing you to alter your air conditioner settings to suit the conditions. 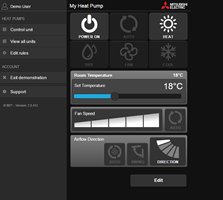 Select from the five operating modes available: auto, heat, dry, fan, and cool. This feature allows you to tailor your system to meet your needs. Specify a fan speed between one and five or allow the system to automatically adapt to the requirements of the area. 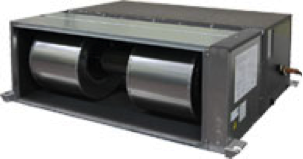 Vane positions provide directional control of airflow from the indoor unit. Choose auto, swing, or set a particular direction to target key areas in the room. 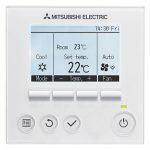 Programme your system to automatically turn on/off at specific times, change settings, and develop temperature rules to ensure exceptional comfort day after day. 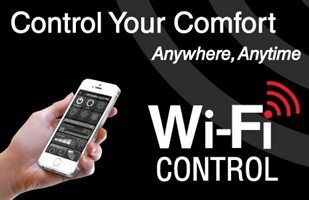 Mitsubishi Electric Wi-Fi Control allows you to release the full potential of your air conditioning system, and contains money saving features. For those who love to return to a comfortable home, Wi-Fi Control has an energy efficient way to do so. Instead of returning to a hot or cold home and turning your air conditioner up high for instant comfort, you can instead turn your system on when you are heading home to warm or cool your home steadily. Same result, additional savings! By using the minimum room temperature feature to keep a healthy base temperature throughout the night – your air conditioner will switch on if it senses that the temperature has dropped below the required minimum. This allows you to maintain a healthy overnight temperature without having to run your air conditioner all night. When the weather heats up, use the maximum room temperature feature and your air conditioner will automatically turn on to cool the room – allowing you to go to sleep in total comfort, but without having to run the system all night.